If you're a college student and you haven't seen at least one of these movies, it's time to drop out and reconsider your life. Whether you're a movie person or not, if you're a college student, push your studying until next week, we have important things to do. Binge watch these 10 movies, you won't regret it. 1. 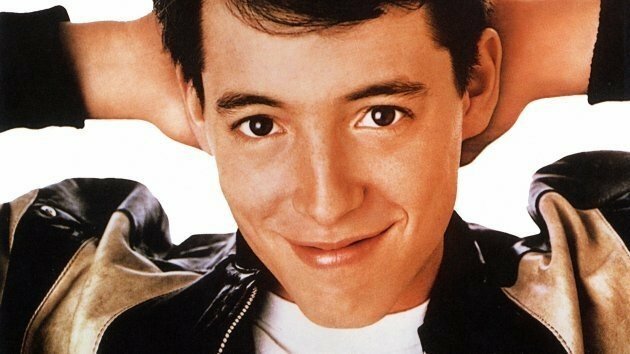 "Ferris Bueller's Day Off"
Yeah yeah yeah, this takes place in high school, but guess what? 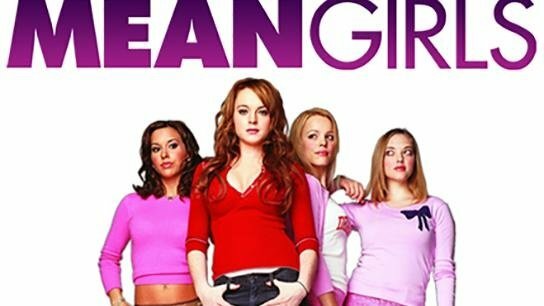 If you're trying to learn how to skip class, this movie is basically a tutorial video for you. So get to learning, whether you're in college or high school. 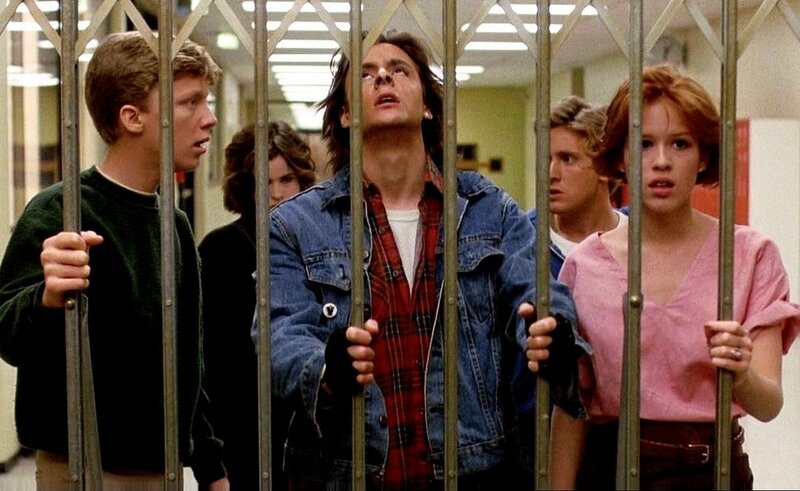 What's with the high school movies, man? Hey, news flash pal, this movie has some good takeaways for college kids, too. 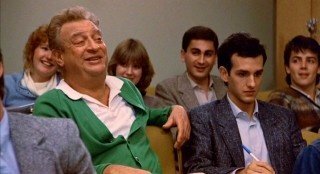 Do you have a professor who you just can't stand? Yes, Professor Vereen, if you're reading this, I'm talking about you. This movie will show you how to stick it to an angry professor. Now here's one that actually takes place in college, but you might be wondering, What on God's green earth does the creation of Facebook have to do with college? To keep things short and sweet, just watch out for your "friends" coming and stealing your stuff. Whether it be a physical item like your Tom Brady Patriots jersey for the game on Sunday or your idea for a multi-billion dollar social networking app that would end up becoming Facebook. For those who have never heard of this movie, like me until I was forced to watch it in eleventh grade, this movie is all about a kid going into an extremely new place, an entirely new setting, with lots of new and unfamiliar things. Sounds like it's right up the alley for college kids, right? In case you couldn't tell why it's perfect for college kids, I'll tell you. The very studious main character ends up eating poisonous berries. Moral of the story, don't skip biology so you'll know which berries are poisonous. That's why it's a perfect lesson for college kids. Going to a brand new school can be intimidating. Getting good grades and making new friends is important, yeah, but what really matters is making sure you fit in with the popular crowd no matter the cost. And this movie will show you exactly how to do that. Want to learn how to deal with the not so legal things at school? Watch this movie and you'll be an expert. There's a lot going on in this movie, but one of the themes that is overlooked is the theme of a college decision. The main character struggles to pick a college because he wants to please everyone with his decision, but for all viewers... take note: don't make your college decision based on anyone but yourself. 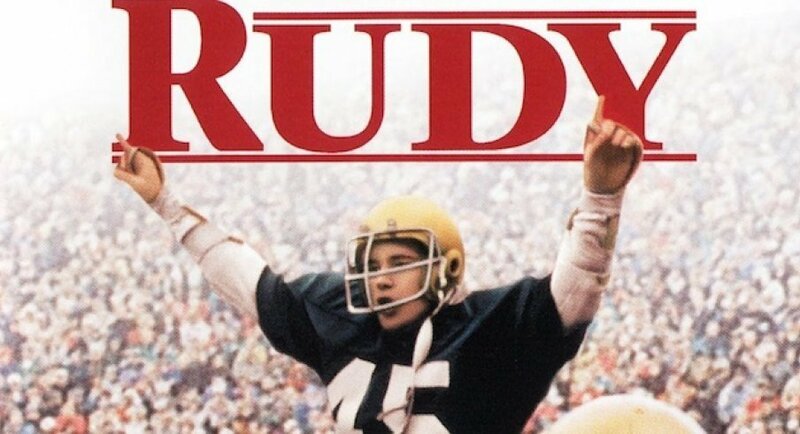 "Rudy" is about so much more than football and if you don't agree then we can't be friends. This movie is about so much more than football. It's about friendship. It's about loyalty. And it's most definitely about to make you cry. This movie really encourages you to get yourself out there and get involved in some activities at your college. 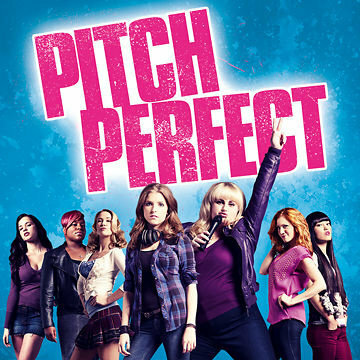 It doesn't need to be an a cappella group like in this movie, but getting yourself involved in some activities is a great way to find some friends. We should probably end things on a more inspiring note, so instead of focusing on the fact that one of the main characters wanted to give up and drop out of college, which sounds very enticing at this point in my life, we'll focus on a more positive note. The main character, Thornton Meloni, the father of a discouraged college kid wanting to drop out, goes back to college to try to inspire his son to complete his education. While there are definitely some not so legal things going on in the movie, we'll again focus on the more upbeat part, which is that you should always give it your all and try your hardest... as much as dropping out might seem like the fun choice. 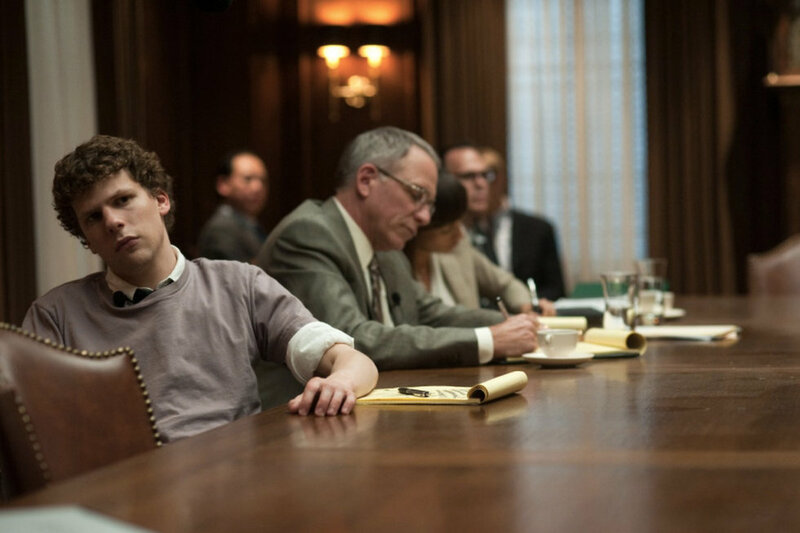 To gain the college experience you desperately need, these 10 movies will be a good starting point. As a kid I always loved movies, and no movies did it quite for me like Disney movies did. Whether they were old or new, there was something about Disney movies that just spoke to me. The music the characters, the stories-- they all helped to shape some of my fondest childhood memories and are responsible for many of my interests and beliefs today. But what I always found most interesting is the history behind these films, how the time they came out influenced their themes and meanings. So today I’ll be exploring just that-- the nine eras of Disney animations. The history of Disney begins with the Silent Era. In 1923, Walt Disney, working for Laugh-O-Gram studios out of Kansas City, Missouri, created a short film called Alice’s Wonderland, which would serve as the first of the Alice Comedies. After the company declared bankruptcy, Walt moved to Hollywood, where he and his brother Roy formed Disney Brothers Cartoon Studios. They worked out a deal with Winkler Productions to produce the Alice Comedies and eventually, in 1926, moved their company to Hyperion Street, where it was renamed Walt Disney Studios. After the decline of the Alice Comedies, Walt created his first ever original character, Oswald the Lucky Rabbit, and produced 26 short comedies starring the character before a falling out with Charles Mintz, who had by 1928 taken over Winkler Productions. Legally, Oswald belonged to Mintz and his company, so he took the character and four of Disney’s animators and started a new animation company, Snappy Comedies. The Pre-Golden Age saw Walt recovering from the loss of Oswald and also set the stage for Disney as we know it today. In 1928, Walt, in collaboration with Ub Iwerks, created a new character that he originally named Mortimer Mouse. However, his wife didn’t like the name, so he renamed him Mickey (I think we can all agree this name is much better). Mickey made his first appearance in 1928 in a test screening of the short film called Plane Crazy. 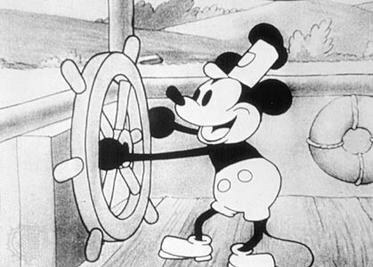 However, the film failed to pick up a distributor, so Walt went back to the drawing board and created Steamboat Willie, which was released in 1928. The film was an immediate success due to the fact that it was the first cartoon to feature synchronized sound and established Mickey as the mascot of Disney. After this, a series of Mickey Mouse cartoons were released. This series also saw the introduction of many Disney staple characters, such as Minnie Mouse, Pluto, and Goofy. Donald Duck, another iconic Disney character, first appeared in Disney’s Silly Symphonies, a series of animated short films that were popular for their innovative use of Technicolor. 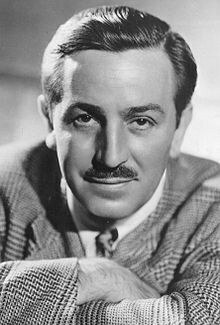 With this, Walt had successfully bounced back from the hardships of the Silent Era and set the stage for the Golden Age of Disney. 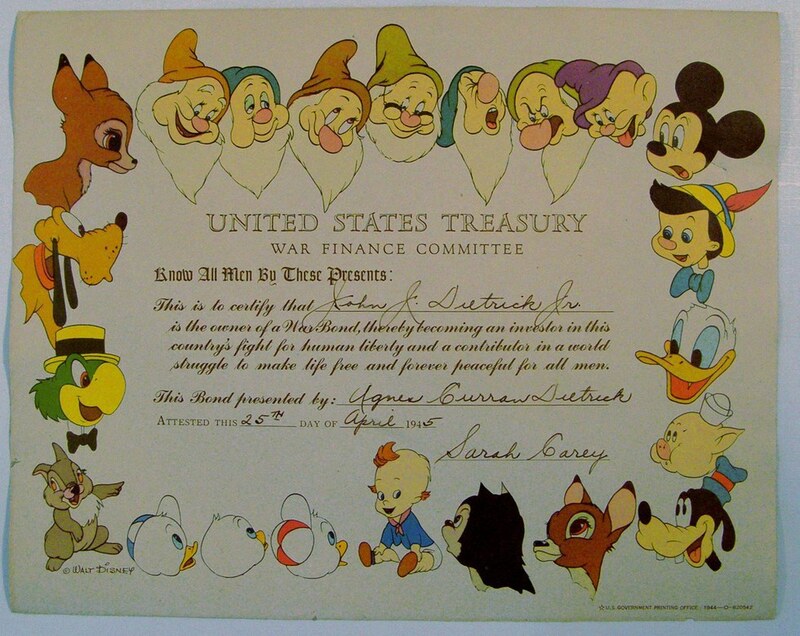 The Golden Age of Disney began in 1937 with the release of Snow White and the Seven Dwarfs. The film was the first full-length feature film to use traditional animation and was an immediate commercial success, establishing Disney as one of the leaders of animated filmmaking. Other films that were released during this time include Pinocchio, Fantasia, Dumbo, and Bambi. Although all of these films would go on to become considered classics, at the time of their release only Snow White and Dumbo were commercially successful. What made this time considered the Golden Age wasn’t the commercial success of these films though, but rather the trends they created in terms of Disney filmmaking. Snow White was the first of the fairytale-based movies that Disney is known for and established the “Disney Princesses,” Pinocchio started the concept of taking well-known literature and turning it into a child-friendly film and Bambi explored the possibilities of making a movie through the eyes of a non-human character. Other Disney staples such as exaggerated villains, the use of music and prominent, comedic sidekicks were first introduced during this time as well. 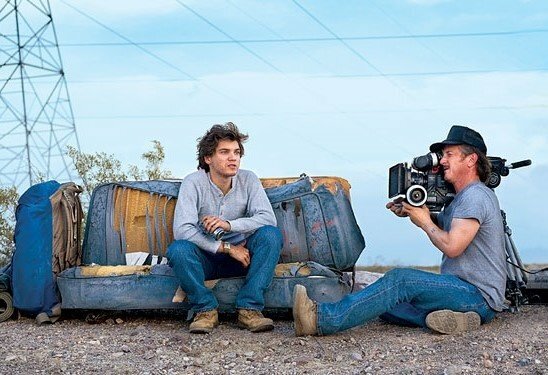 Another key characteristic of the films of this time was the inclusion of many dark scenes, which were usually sandwiched between upbeat and light scenes in order to create a mood shift. A similar, toned down version of this techniques would also be used in later films. 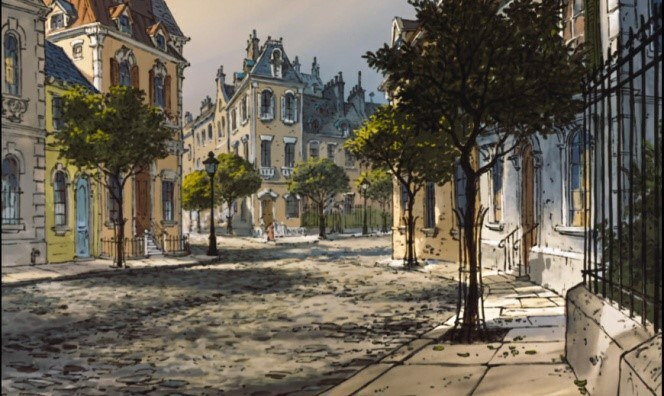 With the U.S.’s entry into World War II, Disney Studios faced lower budgets and a smaller team of animators as it entered the Wartime Era. Also known as the Package Era, the films of this time included Saludos Amigos, The Three Caballeros, Make Mine Music, Fun and Fancy Free, Melody Time, and The Adventures of Icabod and Mr. Toad. What made these films distinct from the Golden Age films is that instead of telling a single, continuous story, these films consisted of multiple short films within each. These films are largely ignored and widely unpopular, with fans criticizing them due to their lack of consistency and tone in each short. The Wartime Era also Disney Studios producing wartime propaganda, which included anti-Nazi commercials and flyers encouraging Americans to support the war. If you’re a millennial like me, then most of your favorite Disney moments and films likely come from the Disney Renaissance. The Disney Renaissance saw a return to the musical fairy-tale storytelling seen in the Golden and Silver Age while at the same time expanding on many of the themes and techniques introduced in the Bronze Age. Films released during this time include The Little Mermaid, The Rescuers Down Under, Beauty and the Beast, Aladdin, The Lion King, Pocahontas, The Hunchback of Notre Dame, Hercules, Mulan, and Tarzan. These films were also the first films that Howard Ashman and Alan Menken worked on, both of whom are key elements to Disney’s musical success. The films during this time also had many important themes that would influence the current views of millennials; Beauty and the Beast and The Hunchback of Notre Dame taught us not to judge people by their appearances; Mulan and Hercules taught us the importance of making sacrifices; and Aladdin taught us that there’s nothing wrong with being ourselves and that the circumstances of our birth don’t have to dictate who we grow up to be. Also known as the Second Dark Age, the Post-Renaissance Era was unique in that whereas previous eras were marked with having a common theme about them, this era was defined as a time in which Disney tried their hands at new methods in storytelling, similar to the Bronze Age. Films from this time include Fantasia 2000, Dinosaur, The Emperor's New Groove, Atlantis: The Lost Empire, Lilo and Stitch, Treasure Planet, Brother Bear, Home on the Range, Chicken Little, Meet the Robinsons, and Bolt. These films explored new storytelling elements marketed towards kids and more mature themes marketed towards the kids that had grown up during the Disney Renaissance that were now teenagers and young adults. While Lilo and Stitch was a commercial success, spawning several sequels and a T.V. show, most of the other films released during this time only received moderate success. This was in part due to the fact that they also had to contend with huge movie franchises like Harry Potter and Lord of the Rings. Despite not doing as well as their predecessors, the films released during the Second Dark Age are well known for their innovation. 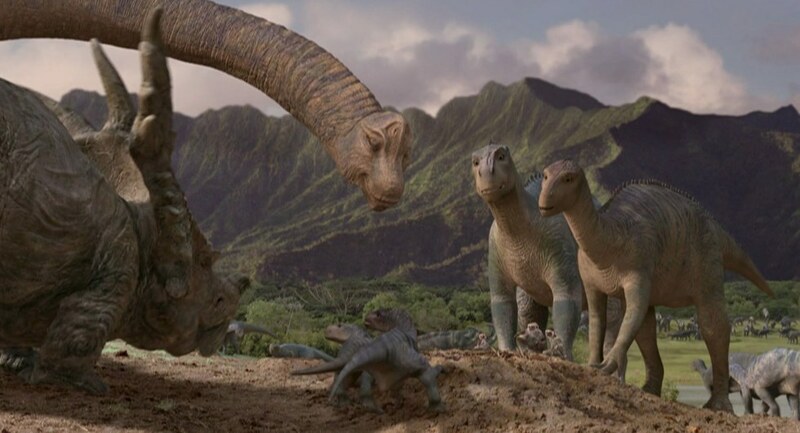 Dinosaur was the first Disney film that used CGI animation, which would become a popular element of this era’s successor. Just as a Renaissance followed the first Disney Dark Age, a Second Disney Renaissance followed this Second Dark Age. Also known as the Revival Era, this era marked a return to the fairy-tale storytelling seen in the Gold and Silver Ages as well as the first Disney Renaissance. During this time, Disney bought the rights to Marvel and Lucasfilm, meaning they no longer had to worry about trying to market their films toward older audiences since the MCU and Star Wars did that for them. Films released during this time include Princess and the Frog, Tangled, Winnie the Pooh, Wreck it Ralph, Frozen, and Big Hero 6. Like the first Disney Renaissance, the Second Disney Renaissance built off several things introduced by its predecessor. 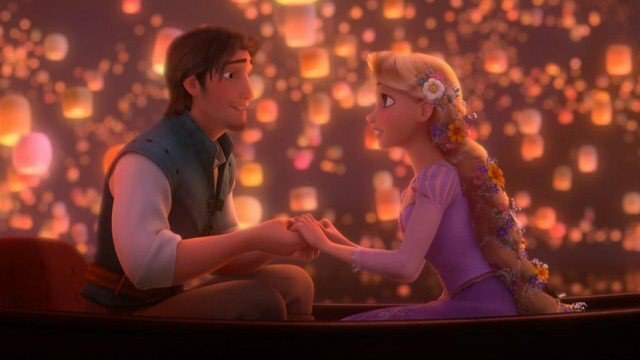 Tangled, for example, used the CGI techniques first used by Dinosaur. Most of the films of this era have been met with great popularity, with Frozen being the highest grossing animated film of all time and Big Hero 6 being the highest audience-rated film of this time period. And there you have it, the nine eras of Disney animations. I hope you guys enjoyed reading about the history of Disney and its growth through the years. I personally loved writing this article and look forward to writing more like this one.